There is a need to understand overall well being in a much holistic way specifically by unraveling knowledge passed on to us through Indian scriptures and people. With this podcast series, I will try and bridge the gap of India’s past and its present. Hoping that we can move to being happier and healthier by focusing on overall wellness. We are very happy to announce the launch of our podcast titled – The Mindful Initiative Podcast. Our first guest is Dr. Shubha Chetan, who is an Ayurveda Doctor based out of Bangalore. Ayurveda is the sister science of Yoga. It has been part of the Indian culture for centuries and helps people live a happier and healthier life. With changing seasons we need to adjust our lifestyle accordingly. Through the perspective of Ayurveda we understand some changes we can bring in our life. What are some recommendations regarding our diet, regarding necessary detoxes or cleanses that will help us lead a better life. Please remember share the episode, if you like it. Nitesh Batra: Hello and welcome to the 1st episode of The Mindful Initiative podcast. Thank you so much for joining us. Today we have Dr. Shubha Chetan with us who is an Ayurvedic physician. 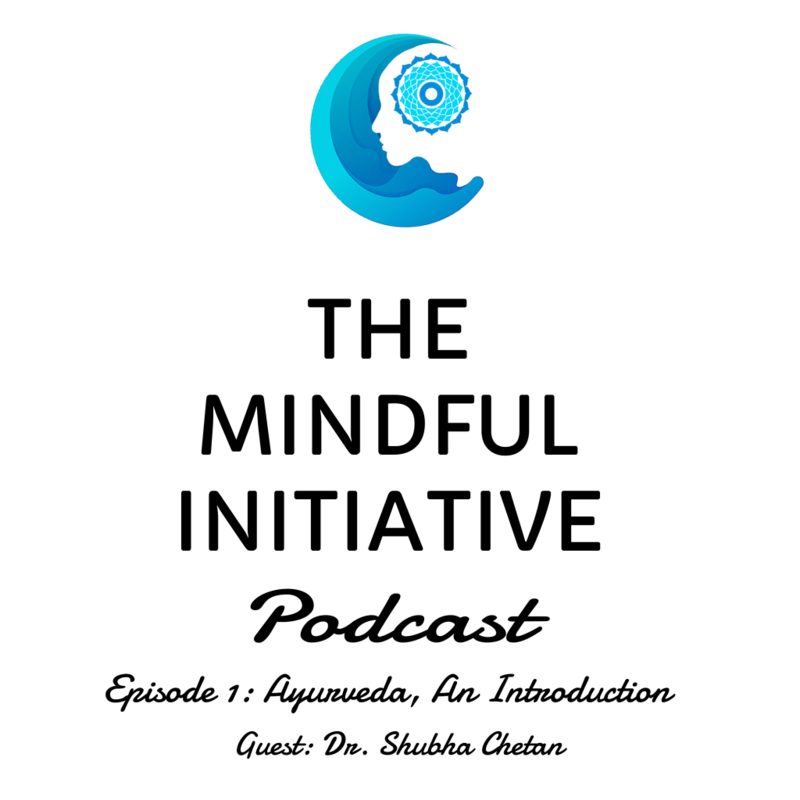 Welcome, Shubha to the first episode of Mindful Initiative. Dr. Shubha: Thank you and Hi, Nitesh. Nitesh Batra: So you are an Ayurvedic physician by profession. Can you tell us a little bit about your background, what you have done and what you do now? Dr. Shubha: I am an Ayurvedic doctor and I have completed my Ayurveda back in 1992. Post that period, I have worked in a hospital. I have also practiced Ayurveda. Few years later down the line, I wanted to expand my horizons, knowledge. So I chose to go into the field of Yoga for therapy. Nitesh Batra: I think this is the great segue into our next question. Yoga is considered a sister science to Ayurveda. But in terms of what Ayurveda is, what its relation to the nature and Yoga, can you expand on that? Can you talk about it a little bit? Dr. Shubha: Definitely, yes. Yoga and Ayurveda are considered sister sciences. They are both very close to Nature. They come from the same ancient science of Vedas. Ayurveda is an Upaveda of Atharva Veda . Yoga again goes back to about 4,000 years back in history; both complementing each other. Nitesh Batra: And anything in particular with Nature? Because Ayurveda in essence helps people cure what is the cause of the disease. That is how it differs from most of the modern,so-called modern medicines or other forms of medicine. That is what is the basic principle. Preventive and Curative–Both. And both -it is going back to nature or using the medicines from nature or whatever is available in nature to bring back health within yourself. At the same time Yoga too, is going back to nature. The same word, the root word “Yuj” meaning union– going back to your own nature, being in alignment with yourself and with the Nature around you. Nitesh Batra: I think that explains it. Now that when we’re talking about nature, there are seasons that are changing, there are times of days that are changing, your morning -afternoon and evening. So, within the Ayurvedic understanding, does the changing day or changing season has an impact on the way we should take care of our body, how it impacts the diet? Can you throw a little bit light on to that? Dr. Shubha: In Ayurveda, we have three basic principles or the humors or the biological factors that we lay a lot of importance on–the Tridoshas. The Vata, the Pitta and the Kapha. These go a long way in forming your personality, forming the nature of who you are, your likes, dislikes. All these are based on the Tridoshas. And they vary according to the time of the day, according to the season and therefore, in Ayurveda we have a very beautiful principle explained, called the Ritucharya or the Dina-charya too. “Dina” being day, Charya is the regimen that you follow. Similarly you have Ritu being the season and Charya eing the regimen that you follow. Why would we follow this is to bring about an alignment of ourselves, our health with that of the changing atmosphere, with that of the changing season. Nitesh Batra: Right now, the season is changing to rainy season. So, we are moving from one season to the other and I know there are particular names for each season. But how should one take care of the body? Or what precautions should one take when we’re moving to this season? I think it would be very helpful for our listeners to know what’s something that they can do to help themselves live a more healthier life during this change of season? Dr. Shubha: Like I said, Ayurveda promotes the preventive aspect and following the Ritucharya helps to bring about a homeostasis in your body. And we….let’s go on when we say Ritucharya, the seasons. Let me just explain a little bit of the seasons to you. We have, based on the movement of the Sun, we have the Uttarayana. Weather that is the Northern Solstice or, we say, the intensity of the sun is more during the season of Uttaryana. And the Dakshinayana, where the Southern Solstice is what we call Dakshinayana. We have Uttarayana also known as the Adaana Kaala. Meaning, that which takes away –that which takes away your strength and the Visarga Kaala, of Dakshinanyana, which gives you strength. So we have 3 seasons coming under Uttarayana and 3 seasons coming under Dakshinayana. We have the seasons of the Shishira which is cool, dewy season which we call 2 months of each season. Okay? Each Ritu has 2 months allocated to it. So, 2-2.5 months to be precise. Then we have the Shishira, the Vasanta which is the spring. Then we have the Grishma– which is the summer. Moving on to the Dakshinanyana. The seasons in the Dakshinayana – we have Varsha Ritu -which we are now presently going to be facing. Then the Sharad –Varsha or the monsoon. Sharad or the autumn and Hemant or the winter season. Based on the season again, there is a variation in the Doshas. We have either an increase or a decrease in a particular Dosha which affects our body during that season. So basically, for this reason we follow the Ritucharya. Nitesh Batra: And when we have these 3 Doshas, do these 3 Doshas co-exist or how do these 3 Doshas impact the way we are? Dr. Shubha: The 3 Doshas we have—Vata, Pitta and Kapha, they are—they coexist in each person. There may be a predominance of one Dosha in a particular person. Like when you see a type of personality, we have different types of personalities that we say. So, when you see a Vata type of personality we would mean that more of the qualities of Vata predominant in this person. As in, the person may be very lean, his digestive Agni or fire that we call may not be that very strong. But yes, he is very quick to think, he’s a quick runner, quick thinker. He is always on the go. And in a Pitta type of a person, he is the type who has a strong digestive fire, who can digest anything. Who is always probably hungry, his metabolism is strong. So is the Vata type. But in the Pitta type, you will realize that if the person eats a little too much, again the digestive fire is going to get imbalanced or there is going to be a digestive issue in this person. So, in the Kapha type of person, the person would be lazy or…. I wouldn’t say lazy… a little more complacent, more quiet. The type of ..Kapha type of person would be stronger, with stronger bones, with very large.. large eyes, you would call. These certain physical attributes also, attributes given to the Doshas. Similarly, there are certain mental attributes to the Doshas and there is never one particular Dosha and you won’t say this is a typical Vata personality. The Vata will be more in such a person, Pitta little less, Kapha little less. Usually there is a combination of personality, combination of Doshas forming a personality. Nitesh Batra: And they keep changing during the day as well. How a person would be in morning would be very different maybe how the person is in the evening? Dr. Shubha: Yes definitely. You would see in the morning there is a more…more of a predominance of Vata –as in, the nature. So the person would probably be a little more active and as the day advances, the Pitta, that is you are more… as the sun rises you have again those qualities in you—the Pitta qualities which are going to be predominant -like your digestion is going to be very good in the afternoon. So that’s probably why we have a very heavy meal in the afternoon. And then as the evening goes the Kapha increases. The heavier the quality of Kapha it is made up of earth and water. So those qualities of heaviness, grounded-ness increases during the evening. Nitesh Batra: Most of our listeners here are yoga practitioners and is there a particular time in a day that’s best suited for them to practice? Dr. Shubha: Yes, definitely. Early morning would be what we call the Brahmi Muhurta. Any time between– before the sunrise– they say, 4.30 -6.00 is the best time to practice. You are one with yourself. With the nature and your practice is going to be very fruitful in that time. Nitesh Batra: Now coming back to the change of season. When a season is changing, are there certain recommendations under Ayurveda that we should– like, cleaning our body or any such things? Dr. Shubha: Yes. Because Ayurveda has laid a lot of importance. One, on diet, on lifestyle and the cleansing –that is what we would say. Let me go into a little bit of detail on the Varsha Ritu. During the Varsha Ritu, we have….Let me first explain a little bit about the Tridoshas. Where we say, the Vata. which accumulates more during the heat or the dry heat of summer and then it aggravates. It starts accumulating during summer and aggravates during the rainy season. Then again, the Pitta. It accumulates during the rainy season, starts accumulating due to the acidic nature of the atmosphere and it starts aggravating in the autumn. And we have Kapha which accumulates during the cold season. Starts to accumulate in your body and it aggravates during the spring. So according.. based on these principles of aggravation—accumulation, aggravation we have formulated the diet and we also in Ayurveda have formulated the cleansing technique. So, let me go into a little bit of diet where.. for the Varsha Ritu as we are now going to be facing the Varsha Ritu. So, since here Vata is in the increase, it’s already aggravated, and Pitta is not in its good form. So, the digestion is —digestive fire in each– is not going to be very strong. So here is when your metabolism is sluggish, person may feel a loss of appetite. So it’s always best that you consume food which is light, fresh. Maybe like rice, barley wheat. Grains like rice, barley, wheat. You include lentils—green gram. And it is important according to Ayurveda, you can, and you definitely must be consuming cow’s ghee in this period. A little bit–you don’t have to take too much of it but, yes. Nitesh Batra: What’s too much? I’m always confused by how much ghee should I consume. Dr. Shubha: Ghee is taken in minimum quantity. Like how you would say–with your rice -hot rice. A little-maybe, half a teaspoon of pure cow’s ghee and that helps to stimulate your digestive fire. It helps in digestion. But yes, definitely not Gulab Jamuns, fried in ghee. That would not. I would call that too much and this again. You ….it would help to drink plenty of warm water. But again, not too much. It’s like–I need to keep myself hydrated. So I keep drinking, keep drinking. According to seasons. In the Varsha Ritu, you would not definitely take too much of water, too much of fluids because that is going to hamper or slow down your digestion even further. As it is, we have a sluggish digestive fire and then too much of liquids hampers digestion. So you would decrease taking..avoid taking too much of fluids. You could take warm water and you could drink warm water and you could drink water before every meal if you’re a Kapha type of personality which helps to decrease the fat too. And you eat warm food. Most meals try and inculcate more of warm food. Do not going in for cold salads in this season. Go in for warm food, avoid curds. Include buttermilk. These are things, the small changes in the diet which you can make which will go a long way in keeping your health.. keeping you healthy. Nitesh Batra: And this being my favorite season for fruits especially mango. And mango is supposed to be hard when one consumes it. Is that something that we should be having. Or is there a particular fruit that we should or should not be consuming during this particular season? Dr. Shubha: If you’ve observed the fruits that we obtain are seasonal. Mango is seasonal. So this is the season when mangoes are naturally being harvested. So yes, it is true that nowadays because of advancement and technology we get fruits all through the year but this is the time which is the natural season for mangoes. So consuming mangoes in this season is perfectly alright. Once again, the key being moderation. Moderation is the key. Person.. a Yogi and practitioner of Yoga always has or always takes into consideration moderation. Be it in diet, in sleep, in Aahara, Vihaara. Or whatever the habits that we practice, be even in Yoga. Performing of Yogasanas, there is a moderation that we need to follow. Aahara, Vihaara, Vichaara. The thoughts that we don’t go into extremes in thinking. There is a moderation in your thinking too. Ahaara, Aachara, Vihaara, Vichaara-these are the things. This even in shloka..Let’s go back to the shloka “Yukta aahaara, vihara, yukta swapnawa bhodasya”. Even during your sleep especially in the Ritu Kaala. In Varsha Ritu–it’s advisable not to sleep during the daytime help.. because it helps increase the Kapha, it helps to increase the sluggishness- slow down the metabolism, that is why. In Grishma Ritu during the summer, it is definitely advisable to take a small nap in the afternoon. So there are certain –these smaller factors or pointers which help you move through your lifestyle easily. Nitesh Batra: Makes sense. I wish the entire year were Grishma Ritu or the summer season where you could sleep in the afternoon. But I think that’s very helpful. I think it’s helpful to know about the little changes that we can do. And in terms of cleansing of the body, how can one do any..should we follow any detoxes or do any particular type of cleansing that’s recommended by Ayurveda? Dr. Shubha: Yes. In Ayurveda, we have the Panchakarma which is a science or a full branch of Ayurveda by itself—Panchakarma. Which is devoted to the cleansing techniques. We have Snehana, Swedana—these are the prior requirements to undergoing a Panchakarma, a cleansing technique. So we have Vamana which is basically for the Kapha aggravation where it’s inducing vomiting in a medicated way, in a controlled manner. It’s not just vomiting as the word denotes Vamana. And we have Virechana for Pittha aggravation where you use the technique of being able to purgate. Purgation is the name given for Virechana and we have Busti for the Vata Prakopa. These are the three main cleansing techniques. And similarly, we have a parallel in Yoga. If Yoga practitioners are aware, something called Kriyas. Kriya is a very basic or very important part of practice of Yoga. So we have—in Kriyas, we have Neti, Jala Neti, Sutra Neti—different Netis for the upper nasal allergies and nasal tracts or head and neck cleansing. You have Vamana Dhauti again for the deranged Kapha and the Laghu Shankha Prakshalana and the Poorna Shankha Prakshalana. And we have of course the Kriyas–the Agnisar Kriya-the different Kriyas that are helping you increase the Praana Shakti in the body. Nitesh Batra: I think that’s very helpful. And I think our users or our listeners would love to know more about these things. If they have any further questions, is there a way they can reach you if they have any questions? What’s the best way that they can do that? Dr. Shubha: Yeah, I would give you my email id you could send –mail me or write, and give my mobile number where you could call and message. 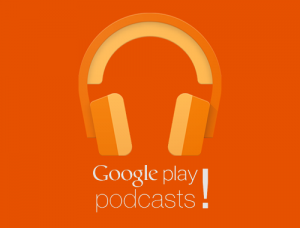 Nitesh Batra: Perfect and we will put that as part of our notes with this podcast. If anyone has any questions, they can reach Dr. Shubha Chetan. Well, I think this was extremely helpful. We are very thankful that you could take out time early in the morning to do this with us. And we look forward to hopefully having more interactions in the future. Thank you so much for listening to The Mindful Initiative podcast. I’m your host Nitesh Batra. Please visit us at themindfulinitiative.com to know more about us. And please remember to share this podcast with friends and family. This entry was posted in Ashtanga Yoga, Meditation, Podcast, Yoga. Bookmark the permalink.